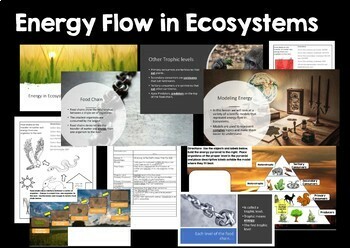 The movement of energy and matter within an ecosystem is an important concept for middle school students. 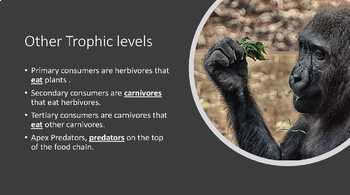 This 32 page lesson file provides a rich, editable presentation, recorded lesson presentation, doodle notes, guided notes, lesson project and a digital interactive notebook file to help students learn these concepts. Download or share digital assignment through Google Drive, or simply use the printable files. The lesson begins with a simple bell ringer guessing the traits of a mystery animal. From there students can use an incomplete outline or coloring notes to follow along with the discussion. After the initial instruction, students practice their concepts through print or digital interactive notebook activities. 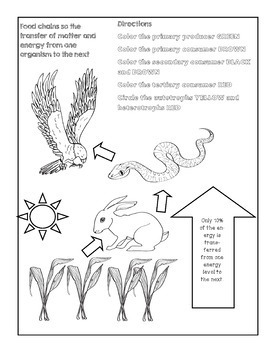 In addition, a food web drawing project is included that allows students to link various food chains. 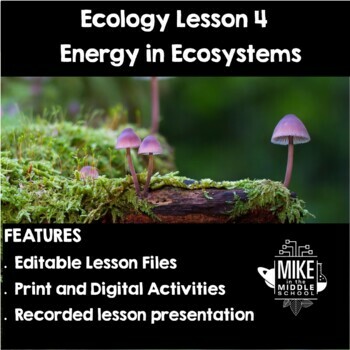 This lesson is designed and tested for a mainstreamed middle school science classroom of 24 students meeting daily for 40 minutes. The teacher will find lesson materials for direct instruction, reinforcement and homework. The recorded lesson can be used as a flipped lesson or for make up work.